So, you're ready to sell? Successfully selling your home for the most money in the shortest amount of time requires much more than just a little advertising. Getting optimum results takes extensive research, proper preparation, tons of marketing, and the experience of a seasoned professional to navigate you through the home sale process. Getting started in the right direction will ensure the sale of your home goes as smooth as possible. Our clients appreciate knowing exactly which steps they need to take to be ready to sell. Request an in-home consultation to discuss pricing, preparation, and what it will take to get your home SOLD! Allowing one of our agents to represent you as your REALTOR® is important because we'll be guiding you through one of the biggest transactions you may ever make. It has taken a lot of training, experience and hard work for us to become a top listing team. In addition, we have all the essential resources, strategies and marketing know-how to get maximum exposure when selling your home. Knowing exactly how the process works, when things need to be taken care of, and what to do when things go wrong is what we're here for. You don't want to be on your own if things don't go as planned and your home is not selling. We've got access to multiple resources not available to consumers and the know-how to effectively use them. Our team will manage all the details from start to finish so the transaction goes as planned and the burden of selling a home is placed on US, not YOU. Preparing your home to sell can make a huge difference in what a buyer will be willing to pay for it. First impressions are crucial because buyers begin judging your home the moment they see it. A home that is well maintained, updated, staged and move-in ready will fetch a much higher price and usually sells much quicker. 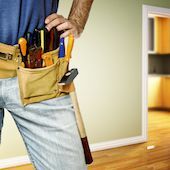 Depending on the condition of your home, there are three categories you should consider when preparing to sell: maintenance/repairs, renovations/upgrades, and staging. Taking the time to properly prepare your home should also make for a much smoother transaction. Go ahead and make the essential repairs you know need to be made, they'll likely come up in the inspection report anyway. You should also work with your agent to determine which renovations/upgrades will give you the best return on investment. Finally, staging your home will allow it to look its best and maximize the appeal to the widest array of buyers. Getting all this done in advance will allow your property to show its best during the crucial first few weeks it's on the market. In addition to your home, you should also prepare yourself to sell. This means knowing where you'll be moving after the sale, ensuring your finances are in order, being ready to keep your home in showing condition, and maintaining a flexible schedule to accommodate buyers. Determining the best asking price for a home is one of the most challenging (and important) aspects of selling it. In fact, it’s a balancing act. You don’t want to set a price that’s so high that it discourages showings. A high list price could also keep you from getting serious offers from motivated buyers with strong financing. These are the buyers who are most likely to pay top dollar for your home. On the other hand, you don’t want to set a price that’s so low that it attracts lots of interest, but sets the stage for offer negotiations that could result in your getting less than the market would actually support if you had priced it higher. So, what is your home really worth? To find out what your home should sell for in today's market, contact us for an in-home consultation and detailed property evaluation. Once we've had a chance to review your property and others like it, we'll provide you with a CMA (Comparable Market Analysis) that gives you the complete breakdown of your home's value. What impacts the value of your home? Your home's value is primarily based on comparable property sales in the immediate area. Accurately determining your property's value can be done by evaluating your home's size, upgrades, condition, lot size and type. Local conditions such as schools, location, market conditions and the appearance of your neighborhood play a big role as well. We'll discuss these factors and more during your seller's consultation. A listing agreement must be signed before your home can be advertised for sale by a REALTOR®. Completing the proper listing paperwork to put your home on the market is key, so we make sure everything is done correctly the first time around to avoid delays. You should also be provided a copy of ALL the documents you sign. Make sure to keep those documents in a safe place in case you ever need them. Listing your home also means completing property disclosures and making copies of any service agreements, deeds, and warranties as applicable. By making these types of documents available up front, you give buyers everything they need to make an informed decision and submit a complete offer when the time comes. The successful marketing of a home, like that of any good or service, is a multi-faceted process intended to reach buyers and cooperating brokers in various ways. 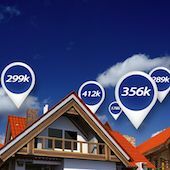 Ultimately, the techniques used to market your home have one aim: to maximize your home’s market exposure, and with it, the number of showings and offers you're able to get. We have the knowledge, expertise, and resources to implement a plan that will effectively coordinate all of these activities to do just that. In our experience, homes advertised with a professional marketing plan tend to sell quicker and for more money than those that aren't. A buyer's perception of a home can be influenced by the photos they see, the flyers they pick up and the level of professionalism that goes into each aspect of the marketing process. When a buyer sees you're working with a professional agent using only the best tools, they know they're dealing with a serious seller. 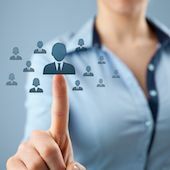 Our traditional marketing plan features tried and tested techniques including: MLS exposure (FMLS & GAMLS), listing syndication to home search portals, yard signs & flyers, postcards, open houses and agent networking. Our more advanced techniques include: online advertising (Google & Listingbook), professional photos with online galleries, HD video tours, custom property websites, social media exposure, locally focused real estate blogs and more. Showing your home to potential buyers is part of the process of getting it sold, so prepare to have visitors coming in and out while your home is listed. After all, they've got to see it before they're going to buy it! One of the most important things to do is to make your home available! The easier you make it for buyers to visit your property, the more showings you will likely get and the better chance of getting an offer. If you put too many restrictions on how and when showings can take place, they won't. It's also very important to keep your home clean and ready for showings whenever possible. This means your home is ready both inside and out when showings are scheduled. This can be challenging, especially for those with children or on short notice, but buyers do understand. Just remember to pick up after yourself and keep things stowed away whenever possible. Most showings will be conducted by the a cooperating agent that is working with a buyer client. They'll typically call to arrange the showing and make an appointment if needed. They can access the property with a key from the SUPRA electronic lockbox, so we'll know when someone was in your home and exactly who they were. This also allows us to follow up with buyer's agents for feedback after each showing. 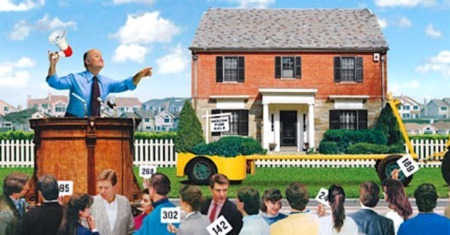 With rare exception, negotiating the transaction is the most complex part of selling a home. That’s why it’s important to have an experienced and savvy REALTOR® who has successfully worked through many different transaction scenarios. When negotiating, it is important to keep in mind your situation, priorities and needs. The best offers usually come from serious buyers that have been pre-qualified by a lender and need to move soon. These are the type of buyers we are looking for. This type of buyer typically makes stronger and is ready to move forward with the purchase. There could be multiple back and forth offers (counter offers) until a deal is reached. 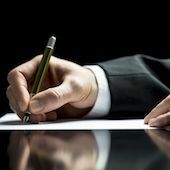 Once ALL parties agree to ALL the terms of the offer in writing, you've got a contract. If you've got a hot property in a popular area, we may be able to get you a backup offer too. The backup offer would immediately kick in if the first contract happens to fall through. The due diligence period, if there is one, is a period in which the buyer of a home will investigate the condition of the property to their satisfaction prior to being obligated to proceed with the purchase. 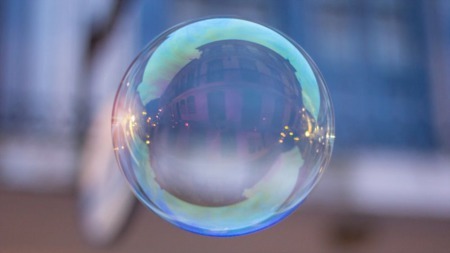 The due diligence period, usually ranges from 7-14 days and is a time in which the buyer has the choice to proceed or back out for any reason, or no reason whatsoever. Buyers may have various inspections performed at this time, including: general property inspection, termite, radon, mold, structural, and more. 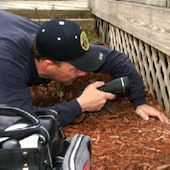 Home inspectors typically check the major components of a home including: exterior, driveways, roof/gutters, HVAC, electrical, plumbing, appliances, interior etc. Buyers may also have a survey done to pinpoint the property lines and discover any encumbrances to the property. Once inspections have been completed, the buyer may request repairs be made for issues discovered during the inspections. This may result in a second round of negotiations for repairs, price reductions and/or change in other terms of the contract. If an agreement can be made and the buyer is satisfied, the due diligence period will terminate and it's on to the next step in the process. If a buyer is seeking a loan to purchase your home, they'll likely need time to secure the financing and have an appraisal performed. The buyer must submit multiple documents to the lender for review by the underwriting department before final approval for the loan can be given. 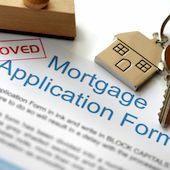 This can mean dozens of documents and multiple review stages, so it's important to keep in touch with the buyer's lender throughout the process. The appraisal can make or break a deal. It is the bank's verification that the property is worth what they're loaning towards and helps prevent mortgage fraud. As a seller, you want the property to appraise for at least the contract price or more, otherwise the buyer may seek a reduction in price or walk away from the deal all together. 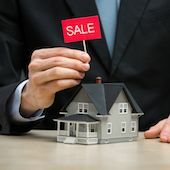 Unfortunately, a low appraisal can cost a seller tens of thousands of dollars, and disputing them can be very difficult. 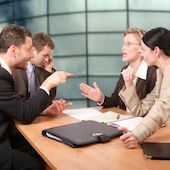 After all, appraisers don't like to be told their calculations are wrong, and disputing an appraisal means more work for them. If your appraisal comes in low, we will discuss your options moving forward before simply agreeing to reduce the sale price. Once you’ve made it through due diligence and any financing/appraisal contingency periods, the closing is in sight. After the lender has confirmed the buyer has been conditionally approved for the loan and can provide a commitment letter, things look good to close. If you agreed to make repairs during negotiations, work on getting those completed. Don't wait around to start making the negotiated repairs, you never know when something may take longer than expected, which could delay the closing if not completed in time. Keep in mind, things have been known to go wrong right up to the closing, so its still not a 100% guarantee the sale is done until you sign the papers at closing. Because of this, many sellers negotiate to stay in the home a day or two after closing so they can make sure the deal is finalized before moving everything out. Once you've got everything out, the buyer will typically do one last walk through to make sure repairs were done, everything has been moved out, and the home is in the condition it should be. You'll also want to coordinate with the buyer to have all utilities switched out of your name or to your new address the day of closing. Also remember to notify contacts of your new address and cancel any other services you have at the residence (i.e. : lawn care). It is a good idea to remain in close contact with the buyer’s agent, closing attorney and the lender just to make sure nothing will interfere with the closing. Once everything's been completed leading up to the closing and the day has arrived, it's time to finalize the sale. Make sure you've got the right time and place for the closing so you can get there early and not feel rushed. Remember to bring all keys, garage door openers, mailbox keys, gate cards, etc., with you to the closing to give to the buyer. You should also bring two forms of identification and anything else the closing attorney may specifically request. As the seller, your job is at the closing table is much easier since you've already done your part. The buyer will be signing the bulk of the documents (mostly mortgage docs) so you can sit back and relax knowing the stress of selling your home is finally over. Hopefully the sale of your home goes as smoothly as planned. 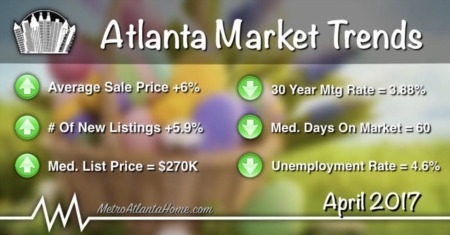 If you're located in the Metro Atlanta area and want to have a stress free sale, call us today at (404) 513-5987 to get started!